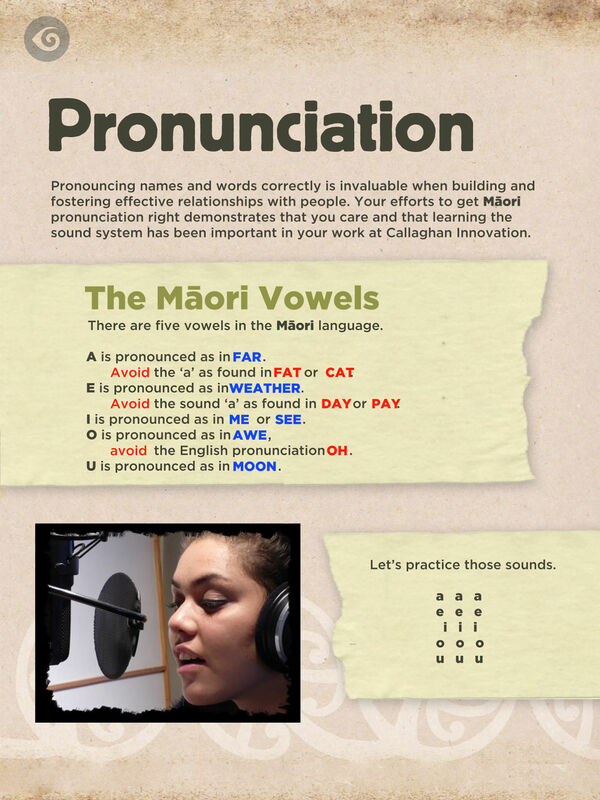 This bi-lingual mobile app developed for New Zealand government agency Callaghan Innovation includes key Māori values, concepts and protocols that allow users to improve their knowledge and understanding of Te Ao Māori (The Māori world). 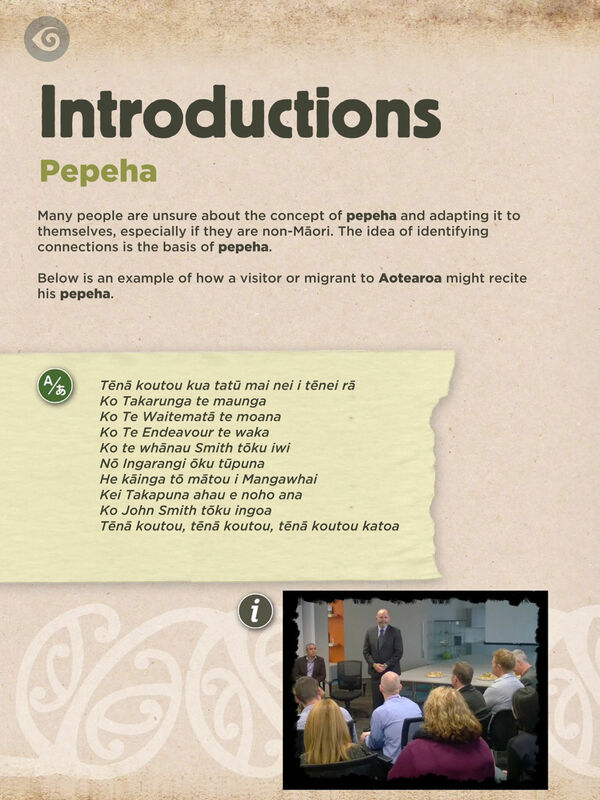 Interactive features include pronunciation, maps with Māori names and tribal groups, values and principles, mihimihi, pepeha, whakataukī / proverbs, greetings, farewells, waiata, and the organisation’s own haka. 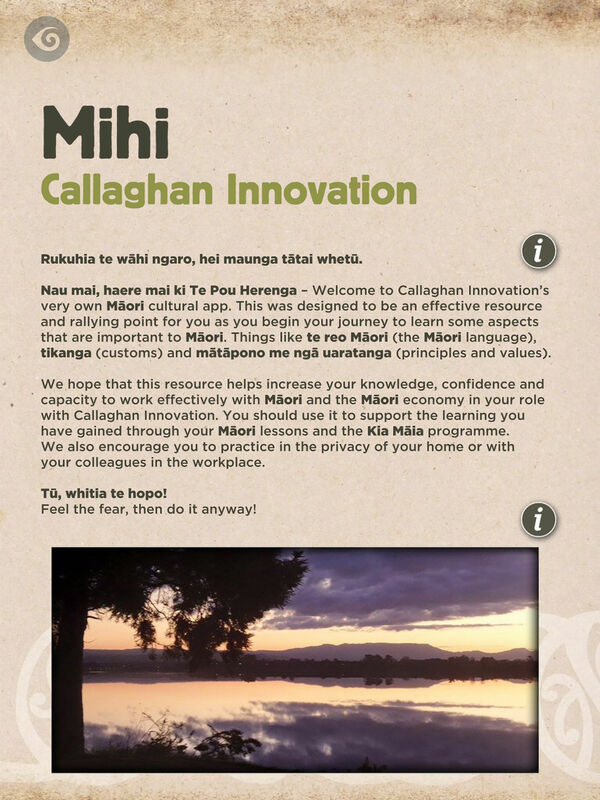 The app brings Te Ao Māori into business and government in a fun, helpful way. 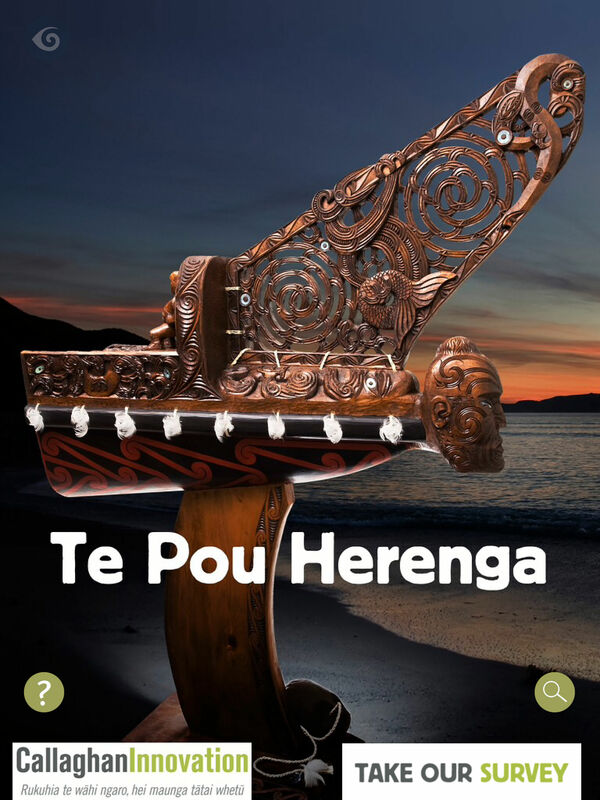 Te Pou Herenga is free to download for iPhones and iPADs; and for Android phones and tablets .